Movember has arrived, and the men you care about are experimenting with various new looks to support the cause. Several of our receiving charities are linked to the movement as partners, too. I was one of the original mad men. You know, the infamous three martini lunches, all the toys you could possibly think of, fast cars, a cottage up north and traveling the world. Big clients with big wins. The kind of life many people might want. But on September 7, 2010, none of that seemed to matter quite as much. I could tell by the way my doctor was looking at me when I went in to get my test results. I was diagnosed with prostate cancer. When I think about my years in advertising, the anguish I felt when I’d lose a big client and think, “Oh my god, it’s the end of the world.” But it wasn’t. I’d wake up and I was good and I was still getting dressed up for work and I’d find another client. Life is like that. But cancer is different. You can’t rewrite the script. You can’t go back or change course and not have the cancer. I still face health challenges but make every day a good one. So my journey now is this. My journey is to be the same person I’ve always been, with dignity, and now to help others through this journey. I think what cancer has done for me, is to allow me to be myself but only better. 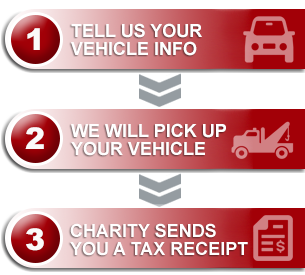 Prostate Cancer Canada, the London Health Sciences Centre, and Kids Help Phone are some of Movember Canada’s partnering organizations and all three routinely receive gifts through our vehicle donation program. If this is a cause that is meaningful to you, consider these, or Canadian Cancer Society, Alberta Cancer Foundation, Kids Cancer Care, CancerCare Manitoba, or charities more closely linked to the specific illness that has impacted you and your loved ones. Moustache image (top right) courtesy of ca.movember.com.